BLOWERS, SAMPSON SALTER, lawyer, office holder, politician, and judge; b. 10 March 1741/42 in Boston, son of John Blowers and Sarah Salter; m. there 5 April 1774 Sarah Kent, daughter of Benjamin Kent, a barrister of Boston; they had no children but adopted Sarah Ann Anderson; d. 25 Oct. 1842 in Halifax. Sampson Salter Blowers’s father died shortly after returning from the siege of Louisbourg, Île Royale (Cape Breton Island), in 1745, and some time afterwards the boy became an orphan. Brought up by his maternal grandfather, Sampson Salter, he attended the Boston Grammar School and graduated from Harvard College with a ba in 1763 and an ma in 1765. Blowers then studied law in the office of Thomas Hutchinson and in 1766 was admitted as an attorney in the Suffolk Inferior Court. Four years later he became a barrister in the Massachusetts Superior Court. Blowers made spectacular progress as a trial lawyer, and in 1770 was associated with John Adams and Josiah Quincy in defending the soldiers of the 29th Foot accused of murder in the Boston “massacre.” By that time the income from his law practice was £400 annually, one of the largest in Boston. In June 1774 the Boston courts were closed after the Massachusetts Government Act abrogated the colony’s charter. Blowers had been much criticized for his loyalist sentiments, and this event persuaded him to leave Massachusetts. Five months later he sailed for England with his wife, Sarah. They lived on his small savings and a bequest to her of a few thousand pounds which was “chiefly secured on Mortgage.” However, it became increasingly difficult to collect rents and interest on property in Massachusetts. Finding himself “without the means of earning a shilling,” Blowers asked the Treasury for assistance and was granted an annual allowance of £100. The British occupation of New York City and Newport, R.I., in 1776 made Blowers optimistic about his prospects, and he left England with his wife in 1777, believing that he would be “useful as well to Government as to himself by residing in America.” They settled in Newport. In April 1778 Blowers went to Boston, where Sarah had been taken ill during a visit. Although he had obtained a pass from the American authorities, on his arrival he was arrested and “put into a dismal stinking lower room.” He refused to appeal for redress and said that his one wish “was to get out of the country as soon as possible.” Exchanged to Halifax, he returned to England and was sent back to Newport with a commission as judge of the Vice-Admiralty Court. A few days after his arrival, however, the Newport garrison was evacuated to New York. On 13 March 1781 he was appointed solicitor general of New York through the influence of Lord George Germain, secretary of state for the American colonies. Blowers could not practise because New York was under military rule, but he found “sufficient and profitable employment” in the Vice-Admiralty Court. Serving as judge while the incumbent was absent in England, he made large sums from fees levied when prize ships were declared forfeit. In September 1783 Blowers sailed for Halifax, bearing a letter of recommendation from Sir Guy Carleton*. Notwithstanding Governor John Parr*’s polite reception, Blowers was doubtful about his prospects, and commented to fellow lawyer Ward Chipman* that “there is very little business in our way to be done here, and that but indifferently paid for, and there is no want of lawyers.” However, he was soon in demand. In 1785 he acted in 100 cases in the Supreme Court, about half as many as Solicitor General Richard John Uniacke*. Blowers had mixed success in recovering his wartime losses. The loyalist claims commission disallowed his claim for nearly £4,800 in real estate and personal property, but he was granted an annual pension of £100. After the peace he had obtained £1,000 in payment of debts, but in 1788 he was still trying to collect money owed on real estate, bonds, and mortgages in the United States. Blowers’s eminent position in the legal field rapidly made him the recipient of government favour. 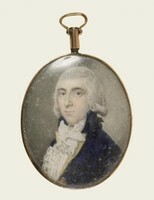 In 1784 he was appointed attorney general of the newly formed province of New Brunswick through the influence in England of Sir William Pepperrell, an important New England loyalist. 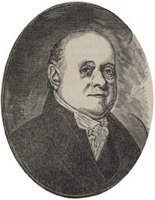 However, he refused the post, explaining that he was weary of the frequent moves he had made, “and having taken up my abode in Halifax I could not subject my family to the inconvenience of beginning a new Settlement at St. John.” That December he was appointed attorney general of Nova Scotia on the removal of Richard Gibbons* to Cape Breton. 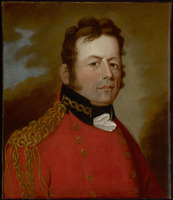 His promotion touched off a quarrel with Uniacke which lasted until the latter’s death. 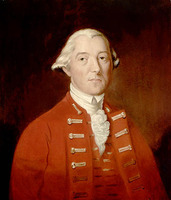 Uniacke had expected to succeed Gibbons, and in compensation he was named advocate general of the Vice-Admiralty Court by Parr. Blowers objected, declaring that the attorney general should also be advocate general, and he wrote to the home secretary that no one “ever has been or will be found more deficient in Loyalty” than Uniacke. The latter retaliated by accusing Blowers of supporting smuggling. In 1790 the two clashed again when Blowers hired a black servant whom Uniacke had dismissed. Uniacke said some “rude things” and Blowers challenged him to a duel. The meeting was prevented, and Chief Justice Thomas Andrew Lumisden Strange bound the two men over to keep the peace. Matters ended the same way in 1798 when Blowers challenged Uniacke to a duel after Uniacke had severely beaten Jonathan Sterns, Blowers’s protégé, in a street fight. In 1785 Blowers had entered politics when he was elected to the House of Assembly for Halifax County, and he was chosen speaker when the new house met. The early years of the sixth assembly were peaceful, but in 1787 dissatisfaction with the administration of justice led the house to ask Parr for an investigation into the conduct of judge James Brenton* and acting chief justice Isaac Deschamps*. On 3 Jan. 1788 Blowers became the first loyalist to be appointed to the Council, and once there he “took a decided part” in defending the judges against the assembly’s attacks. Some loyalist assemblymen were critical of his actions. 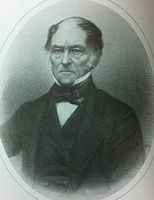 Isaac Wilkins thought that he had not defended the assembly’s position strongly enough in the Council, and Thomas Henry Barclay* accused him of “having tacitly sanctioned the proceedings of the house . . . and now taking distinct part on the contrary side.” There was some belief that Blowers’s lack of enthusiasm for the assembly’s cause might have been due to personal motives. At the time of his retirement in 1797, Strange noted that if Blowers had not hoped to succeed to the then vacant chief justiceship, the attorney general “at least drew from the zeal with which he endeavoured to maintain [the judges’] innocence” the thought that he might be considered for the post. As matters turned out, Blowers was appointed chief justice, but not until 9 Sept. 1797, after Strange’s resignation had been received. He had been well recommended by Lieutenant Governor Sir John Wentworth* and by Strange, who thought him the best person the British government could “procure for the Office, from this Country.” As chief justice, Blowers became president of the Council. Strange’s testimony of 1797 indicates that on the Council his services had been “of real utility in conducting the business, whether of Government or Legislation.” Blowers maintained a sense of his position as president, and when in 1808 a junior councillor, judge Alexander Croke, became administrator in the absence of Lieutenant Governor Sir George Prevost*, he refused to attend Council meetings. 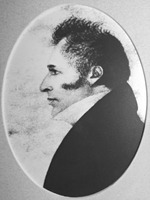 Writing in 1826 to his fellow judge Peleg Wiswall, he commented that in the Council he confined himself “to the duty of president without entering into the debates respecting a new issue of paper money, or the mighty subject of the Shubenacadie Canal.” In addition to being chief justice and councillor, Blowers served as judge of the Vice-Admiralty Court between 1821 and 1833. Blowers was an original member of the board of governors of King’s College at Windsor, and he faithfully attended meetings held in that town. 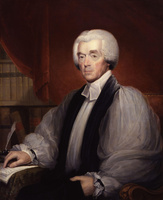 As one of the committee for drafting the statutes of the college in 1803, he agreed with Croke that King’s should be an institution for liberal education rather than the seminary envisaged by Bishop Charles Inglis*. All, however, agreed that students must subscribe to the Thirty-Nine Articles of the Church of England. This stipulation effectively excluded three-quarters of the population from the college, and in 1817 Lieutenant Governor Lord Dalhousie [Ramsay] proposed that a non-denominational college be established at Halifax. Blowers recognized the threat posed to King’s, and in May 1818 he and William Cochran*, vice-president of the college, submitted a resolution for repealing the statutes requiring adherence to the Thirty-Nine Articles. However, the archbishop of Canterbury, the patron of King’s, refused to agree to the proposal. 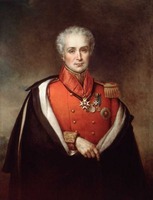 In 1824 an attempt was made to unite King’s and the non-denominational Dalhousie College in Halifax, but Blowers objected, declaring that any such action would be too near to a breach of trust by the governors of King’s. As chief justice, Blowers commanded great respect. Looking back on the early years of the 19th century, John George Marshall* wrote that in 1804 Blowers was “truly eminent for a high standard of legal knowledge, logical skill, and power of argument and chasteness and attractiveness of language. . . . During those earliest years the Chief Justice tried all the causes, and delivered the decisions on legal argument; on these latter occasions, the two associates merely assenting.” Nearly all of the cases tried before Blowers were for debt, with a few for trespass and smuggling, and some on appeal from the Inferior Court of Common Pleas. In 1809 Blowers was head of a special 15-man commission which sat to try Edward Jordan for piracy. When William Wilkie* was tried for printed libel in 1820, Blowers presided. 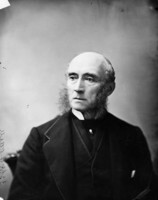 The Halifax lawyer and historian Thomas Beamish Akins* thought that in trying this case the chief justice departed somewhat from the impartiality of the bench, but Blowers ended his address by telling the jury to acquit Wilkie if they honestly thought he had written for the public good. Slavery was an important issue to Blowers. While attorney general he had had frequent conversations with Strange on the subject, and found that the chief justice did not want to make a decision on the legality of slavery but rather “wished to wear out the claim [of slave-holders] gradually.” When Blowers became chief justice he adopted this policy. On one occasion a black woman arrested in Annapolis Royal was claimed as a slave, and Blowers hinted that an action should be brought to try this claim. The plaintiff could not prove that he had had a legal right to purchase the woman, and his case collapsed. Because in part of Blowers’s demands for the proof of its legality, slavery died out in Nova Scotia relatively soon in the 19th century, in contrast to New Brunswick, where Chief Justice George Duncan Ludlow* held that slavery was legal. In addition to sitting at Halifax, the judges of the Supreme Court went on circuit to most counties, and after 1816 to the entire province. Any two judges were authorized to hold sittings, and in order to aid with the work-load a third assistant judge was appointed in 1809 and an associate judge in 1816. Even then there were always difficulties in finding enough judges when illness or old age prevented any of them from travelling. Blowers himself was increasingly absent from circuit courts and even from the court at Halifax as the 1820s progressed. By 1830 he admitted that for several years past he had been “obliged to decline the Trial of Causes owing to the decay of my hearing and sight,” but asserted that he attended the Council and considered legal matters with his fellow judges. By this time, however, pressure was mounting on the chief justice to resign, in particular from his subordinate Brenton Halliburton*. But Blowers was not ready to step down. Writing in 1831 to his brother Henry*, William Blowers Bliss*, who had married Blowers’s adopted daughter, claimed that Blowers had “no intention of resigning” and added that he was “sore at this hunting for his place.” But in October 1832 Blowers accepted the inevitable and asked Lieutenant Governor Sir Peregrine Maitland*, who was returning to England, to indicate to the British government that he wished to resign. Administrator Thomas Nickleson Jeffery was instructed by London to accept Blowers’s resignation after the assembly had been asked to grant him a pension. However, the old loyalist believed that he was entitled to a pension from the crown and stepped down “without waiting for any colonial remuneration which there was little reason to expect.” His prediction was accurate, for the assembly refused to grant a pension, but none was forthcoming from England. 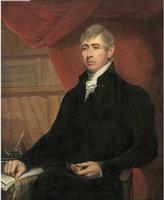 Halliburton succeeded as chief justice, and since there was now a vacancy on the Supreme Court, Blowers petitioned Jeffery and Lord Goderich, the colonial secretary, to appoint his son-in-law, Bliss, to the judgeship. Bliss did not receive the post at this time because he lacked seniority, but he was nominated on 15 May 1834. After his retirement, Blowers continued to spend the summers at his farm in Windsor and the winters at his Halifax house. In October 1842, seven months after reaching his 100th birthday, he broke his hip in a fall and died on the 25th. He left a life interest in his property to his wife and small legacies to his sisters, nieces, and nephews, but most of his estate went to his adopted child, who “was unto him as a daughter.” Her husband estimated that nearly £40,000 was involved, part of which consisted of “nearly £10,000 invested in the Funds in Great Britain and between £2000 and £3000” with London bankers. Sampson Salter Blowers kept a diary of his 1776 “Journey to & Thro’ part of France &c,” preserved in PANS, MG 1, 139B. The journal has been printed in PANS, Board of Trustees, Report (Halifax), 1948: 13–38. Halifax County Court of Probate (Halifax), Estate papers, B83 (mfm. at PANS). PANS, MG 1, 979–80, esp. 979, folder 3; 1598–600; 1603, esp. nos.56, 56b; RG 39, AP, C, 1; HX, J, 12; 14–15; 17, 9 Sept. 1797; 24–26; 99–100. PRO, CO 217/37: 87–89, 123–24; 217/149: 170–77; 217/154: 715–29, 803–10. Boston, Registry Dept., Records relating to the early history of Boston, ed. W. H. Whitmore et al. (39v., Boston, 1876–1909), : Boston births, 1700–1800, 239, 242, 251; : Boston marriages, 1752–1809, 16, 56, 325, 393, 402. Acadian Recorder, 11 Nov. 1820; 16 April, 29 Oct. 1842. Novascotian, 7, 21 Feb. 1833; 27 Oct. 1842. E. A. Jones, The loyalists of Massachusetts: their memorials, petitions and claims (London, 1930; repr. Baltimore, Md., 1969). C. K. Shipton, Sibley’s Harvard graduates . . . (17v. to date, Cambridge and Boston, Mass., 1933– ), vol.15. Beck, Government of N.S. Cuthbertson, Old attorney general. John Doull, Sketches of attorney generals of Nova Scotia (Halifax, 1964), 19–25. H. Y. Hind, The University of King’s College, Windsor, Nova Scotia, 1790–1890 (New York, 1890), 32–34, 50–54, 60–62. J. G. Marshall, A brief history of public proceedings and events, legal, – parliamentary, – and miscellaneous, in the province of Nova Scotia, during the earliest years of the present century (Halifax, [1878?]). C. J. Townshend, History of the Court of Chancery of Nova Scotia (Toronto, 1900). Margaret Ells, “Nova Scotian ‘Sparks of Liberty,’” Dalhousie Rev., 16 (1936–37): 475–92. G. V. V. Nicholls, “A forerunner of Joseph Howe,” CHR, 8 (1927): 224–32. Phyllis R. Blakeley, “BLOWERS, SAMPSON SALTER,” in Dictionary of Canadian Biography, vol. 7, University of Toronto/Université Laval, 2003–, accessed April 26, 2019, http://www.biographi.ca/en/bio/blowers_sampson_salter_7E.html.